As a company, IGDB aims to collect as much video game data as possible. But that’s not the only thing we want to do. We also want to learn more about the industry itself. That’s why we took the opportunity to talk to Mixtvision, a publisher from Germany. We wanted to know about their goals and passions, as well as their struggles. If you’re an indie dev looking for a publisher (or vice versa), or someone who dreams of working for a publisher one day, this article might be able to deliver you some insight! Tell us a bit about your team and what you do! Rebekka: Hello! 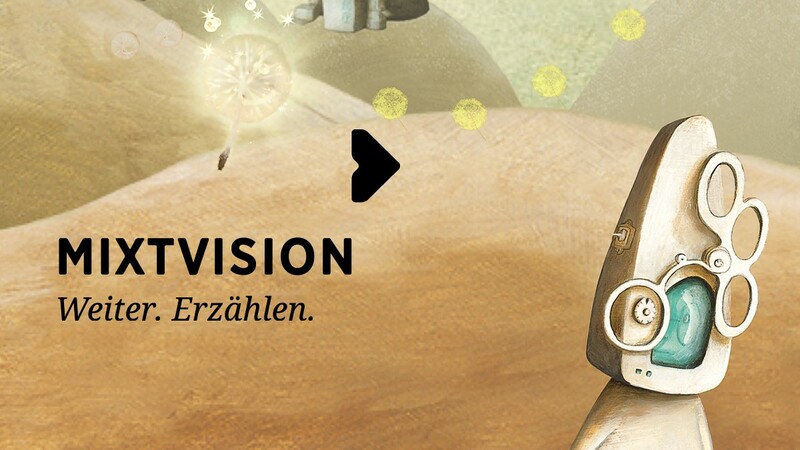 We are Mixtvision, a media production and publishing house from Munich. We tell stories in all kinds of different forms. We have a book publishing department, a movie department, and a games department. We are always looking to find new and exciting ways to tell stories; for us in the games department that means working with developers to make their amazing ideas reality. While the whole company employs over twenty people, the games department that we work in is made up of four “main” people: our director of digital & transmedia Benjamin, Alexandra who rocks our marketing and PR, Frieder, and Rebekka, who both work as producers. The core team also gets lots of support from our graphics department and by our colleagues working in book publishing. What’s the best about being a publisher? Rebekka: I think the best thing is the worst thing at the same time. We get to see all these amazing games and ideas, but in the end, not all of them will see the light of day. Seeing awesome concepts and knowing that we cannot support the developers (for whatever reason) in making them sometimes really breaks my heart. But helping those that we work with to make the best game they can is amazing and very rewarding. Alexandra: It’s wonderful to have the opportunity to meet and work with so many talented and creative people from the industry and helping them to bring their ideas to life. As one of our core intents is to publish artistically unique games that leave a lasting emotional impression with the players, I especially appreciate the chance to bring more variety to the games market. When you watch or read the players’ reactions to a game you published and you realize that the game hits exactly the sweet spot you were aiming for, that’s just an amazing feeling. How would you describe the video game industry in Germany? Rebekka: I think that we are living in exciting times for the German games industry. A lot of indies and associations like game, the German Games Industry Association, have been pushing for politics to support developers more. We are slowly seeing the effects from that. We also have great places like the Saftladen (an Indie Games collective) in Berlin or Werk1 (a business incubator and event space) in Munich. They offer events like Talk&Dev or Talk&Play and also some informal get-together. All in all, I think we are very privileged to have such a great community here. Alexandra: From a marketing standpoint, it comes in pretty handy to be situated in one of the biggest markets for the industry. Apart from a bustling indie dev scene, that also means that big players might have branch offices located here. And that again helps the industry gain greater public awareness. We are also lucky to have the world’s biggest fair for interactive entertainment right ‘next door’ which helps a lot in terms of networking, doing business and, last but not least, meeting and getting to know enthusiast players. With initiatives like the Indie Arena Booth and new events like MAG Erfurt or EGX Berlin bringing new momentum to the scene, stronger financial support from politics, and a noticeable change in the public perception of games as cultural assets, I am curious to find out how the industry will evolve in the coming years. How do you decide what game to actually publish? Rebekka: A lot of factors go into that. For us, the most important thing is that the game brings something unique to the table. We believe that games are more than pure fun and mindless time killers. Games are art, and we want to help great art to be made. If a game has something new to tell, has a unique art style, or offers a deeply satisfying or touching experience, that sparks our interest. But even if a game has an innovative story or an incredible art style, the rest of it still has to be up to standard, too. So we examine its general design: do the game mechanics make sense, is the story coherent, is it told in a way fitting for the rest of the game, is the gameplay fun or carrying the narrative in a good way? While a game doesn’t necessarily have to be “fun” or tell its story in a traditional way, it still has to be playable, right? As we often meet developers and their projects when they are still in pre-production, we have to determine most of these questions by reading the pitching document and maybe some proof of concept video or demo the developers provide. As most of us here at Mixtvision also have a background in design or production, we offer to give feedback on these points (no matter whether or not we will work together in the end). We will never try to change a developers’ vision for their game but hope to help realize its potential in the best way possible. Lastly, we take into account what the developers are looking for in a partnership and what we feel is best for both the dev team and the project. This ranges from whether we have the budget to fund the title to how we would approach marketing (for example: do we have the right press contacts? Can we make the kind of marketing campaign happen that we think is best for the game?) and how well the developers’ and our vision for the game fit together. It’s very important for us to work together with the developers as equal partners. Sometimes, we might come to the conclusion that somebody else might be a better partner for a specific game — we will tell the developers that upfront. We only work on games that we are passionate about because we believe that this is the only way to get a great product in the end. After partnering up with a game, what do you do to help them? Rebekka: Well, first and foremost, we offer a shared passion for the project. We think that this is the most important base for a partnership. But of course, there are a lot of other things that are important, too. One of the things we do is marketing and PR. That means everything from talking to the store owners (Valve, Microsoft, Sony…) about sales and features, to reaching out to our press contacts to get word about the game out, to organizing booths at events. To decide which measures to take, we look at the game’s needs and target audience and how to best reach them. We also offer to fund on fair deal terms, help with localization and QA, customer support and community management (in close cooperation with the developers), and, if wanted, creative feedback. We understand that developing a game is both hard and also hugely passion-driven, so we would never want to interfere with the developer’s vision or creative control. But sometimes it helps to get a second opinion which we are happy to offer. If the developer also needs administrative help, for example in managing their project, we can also do that. As you can see, I listed a broad range of things and also a lot of optional things. We believe that there is no one size fits all solution to publishing, so we adapt to the team we are working with and try to do what fits best for both the team and the game. How did it happen that Mixtvision went from a Book publishing background into gaming? Rebekka: The interesting thing about Mixtvision is that the company was founded with one goal: telling great stories. We have a company claim in German that means something along the lines of “tell more”. We are constantly looking for that “more”. As a book publisher, Mixtvision doesn’t just release purely entertaining content but also young adults’ books that tackle the topics of depression or motor tics, for example. Our movie department recently did a mockumentary about a real-life superhero and the ways in which showbusiness can corrupt an unsuspicious person. So you can see that we have always strayed a bit from the beaten path to tell our stories. And if you love telling stories, what better thing is there than to be able to make people actually LIVE through the story? Games are such incredibly powerful storytellers, there was no way we would not look into telling stories through them. 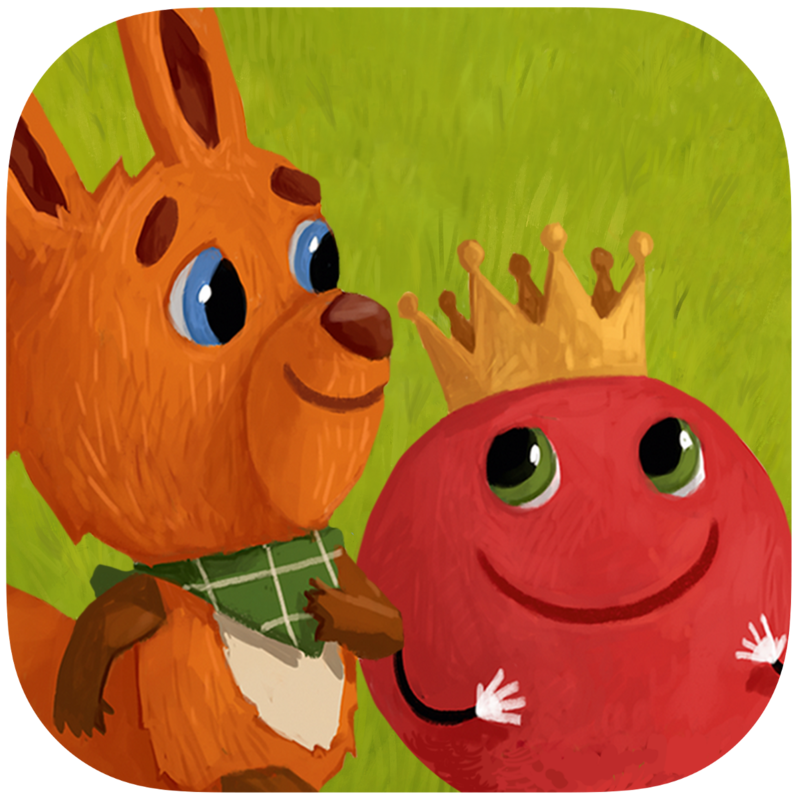 We actually developed apps first, working together with different studios to adapt some of our books for mobile devices. That was a very important experience we gained, but we soon found that mobile apps had a lot of boundaries for telling stories — for example, most people play without sound at all times. Not very immersive, right? This is why we are currently focusing on PC and console titles. How different is the world of games publishing compared to traditional book publishing? Rebekka: There are quite a lot of differences! Even how a project starts can be very different: in games publishing, we are looking for a pitch by developers or we attend events and look at social media to find games that might not have been on our radar before. In book publishing, while we do have projects that are pitched to us, our colleagues often look at books that are already on the market in other languages and buy the license to translate and publish the book in German. 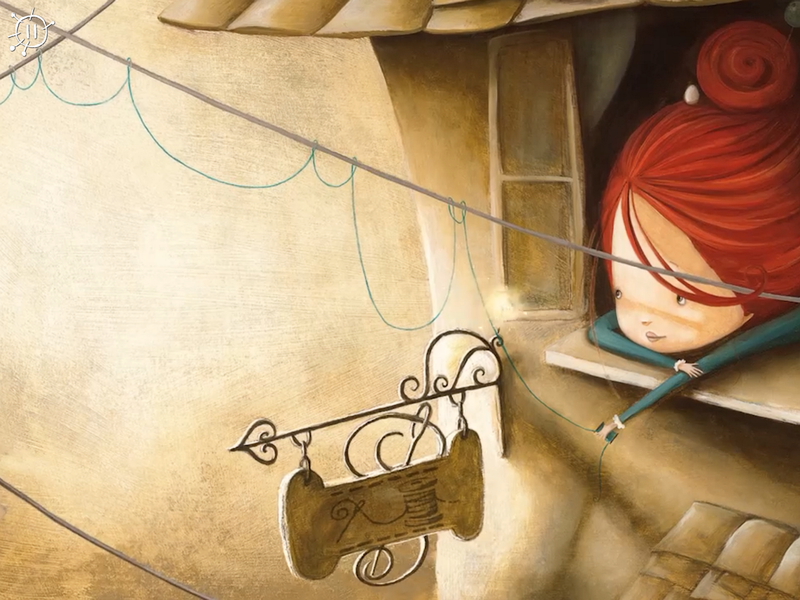 For example, we have a series of beautifully illustrated books by Valeria Docampo (the illustrator) and Agnés Lestrade (the author) that we translate from French to German. Some ideas are also developed in-house and we then look for people to create the book with. Development is also very different. Development time alone is so much shorter in books, which makes it possible to a) do more books in a year and b) plan ahead better. Game development can take years and sometimes even the best-made plans just do not work out and the release has to be postponed. And it’s not only the shorter time frames that make planning a book easier: there are also fewer people involved. 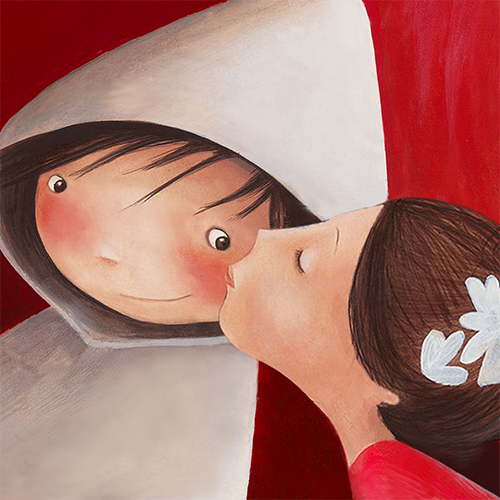 You need an author, an editor, a translator, an illustrator, a compositor, a printer, and that might already be it. Most games and even apps have much bigger teams. One key difference for our work is that you have to market books more to the bookstores than to the customer. In the games industry, while you do have contact with the store owners like Valve, Microsoft, Sony, etc, you are in direct contact with your players and market your game towards them. Understandably you probably have a focus on narrative heavy and story driven games then? Rebekka: Yes, we do. Storytelling is in Mixtvision’s DNA and we are all very passionate about new and interesting experiences. But don’t take that to mean that our favourite game would be a text adventure! 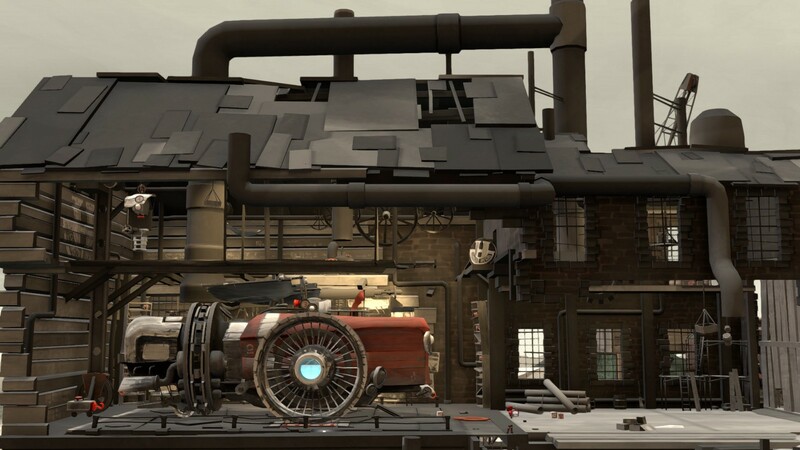 Storytelling can be done in so many ways, and environmental storytelling is one of them. Our first published game, FAR: Lone Sails, for example, doesn’t have a single line of text in it, whether spoken or written. The narrative is told by the environment while the players explore. Would you consider visual novels as well? Rebekka: We think that visual novels offer great storytelling opportunities and a lot of them have great art styles. Right now, we are focusing our energies on titles that are closer to the traditional notion of a “game”, though. We think that there is lots of untapped storytelling potential there and we want to help teams that are working on uncovering this potential. But if you want feedback on your work or still want to pitch your visual novel to us you are welcome to write us an email or talk to any of us when you see us at events. We have had cases in the past where we actually referred game developers to our colleagues who work in book publishing to see whether the project might be a good fit for print, so that is always a possibility, too. 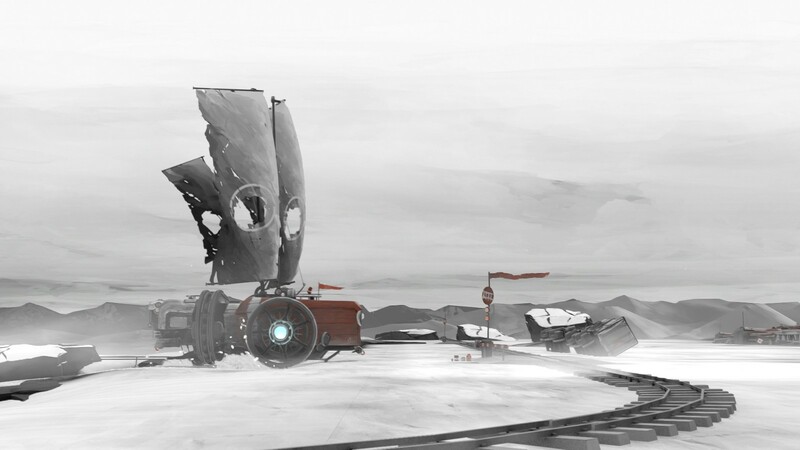 FAR: Lone Sails received a lot of high praise, as your first published title. Would you then consider it a success? Rebekka: We are incredibly humbled by all the positive feedback. It was amazing for both the developers and us and we are very happy that both press and players liked the game so much. When we exhibited FAR at Gamescom 2018, there were a lot of people that came up to us just to tell us that they bought and liked the game. That was the best thing ever! We want to say thank you to all the people who reached out to us, because we couldn’t have wished for a better reception of our first title. So yes, it has definitely been a success. When can we expect some news on your next upcoming title? Rebekka: We are currently working on our next title, but unfortunately, we cannot say anything about it yet. Believe us, we are itching to show you, because we are incredibly happy to be working on such an amazing game with a great team, but we want to wait for the right moment to unveil this new project. If you follow our social media, though, you are sure to know when we are ready to show you! Are you gamers, yourself? What kind of games do you play? Alexandra: Absolutely — though probably not the most skilled one ;). That said, I tend to play low(ish)-pressure games, either on console or on mobile (which is why I am grateful that a lot of wonderful and unique games like Inside or Oxenfree have recently been published on mobile, too). I like (A)RPG / (action) adventure-type games and enjoy the odd AAA open world exploration experience, but also narrative gems like “What Remains of Edith Finch”. Currently, I am really into playing “Octopath Traveller”. Guilty pleasure and go-to-games to relax: “Diablo III” and “Threes” — weird combo, eh? Please give us the links to your homepage and social media!